Every lake comes with its own collection of Maori legend and myth. Rotorua has plenty to keep its constant train of visitors fascinated, thrilled and culturally immersed. It is the country's undisputed centre for geothermal related phenomena, the heartland of Maori cultural experiences and offers enough tub-thumping fun to keep even the most adrenalin-addicted happy through a wide range of adventure activities. And then there are the lakes. Offering up the naturally spectacular, the serene and even the totally silent for those seeking entire escape from the city's hustle and bustle. The city of Rotorua sits on the shore of the lake which shares its name – Lake Rotorua. This may be the largest but it is by no means the region's only lake – there are another 15 in fact, most of which are formed from the craters of long-dead volcanoes. Between them they offer up a mouth-watering mix, interweaving historically significant sites and geothermically active places along with arguably the finest tableau nature produces anywhere on the planet. These lakes are full of surprises; hidden beaches and natural hot pools surrounded by native bush, dramatic cliffs and majestic mountains. The mysterious and the magical are brought to life with such gems as a secret glow worm cave while every lake comes with its own collection of Maori legend and myth. Phantom canoes enshrouded in mist, tales of lovers swimming to secret rendezvous spots, lost royal treasure and lake monsters of the human-eating variety all feature here. One of the best ways to see the lakes at their most wonderful is by way of a kayak and the region makes this possible for its visitors through a range of tours or with hired equipment for those who want a DIY exploration. In the touring category there is something to suit everyone no matter what their age, fitness and skill level or personal interest. You can go paddling for anything from a couple of leisurely hours to trips which last a few days; you can opt for a single, double, sit-in or sit-on kayak and even multi-person larger canoes; you can combine your water adventure with camping, fishing, tramping, barbecues on the beach or a host of other activities; you can opt for a tour which regales you with Maori legends as you glide across the calm waters or a trip which brings you up-close-and-personal with the region's flora and fauna. Full of crystal clear, beautiful swimming beaches and entirely surrounded by native forest, Lake Okataina can only be accessed via a guided kayak tour where you will learn about the lake's cultural and historical significance to the Maori. 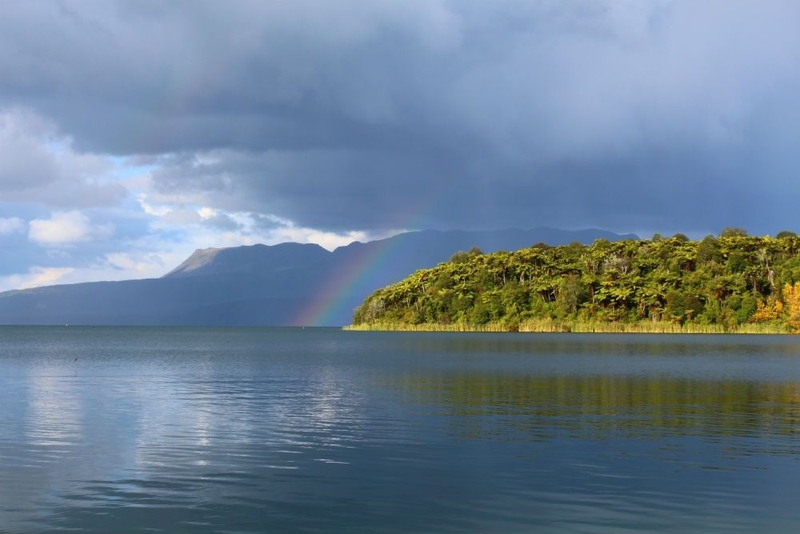 Claiming its status as the region's second largest lake and with a name which means 'burned spear', Lake Tarawera offers its visitors surroundings of pristine, untouched bush and a number of beautiful white sand beaches, lapped by blue waters. Access here is pretty much by boat which gives it a distinctly remote feel. Te Rata Bay, also known as Hot Water Beach, is this lake's highlight. Situated in the lake's western corner the beach is easy to find – just look for the rising steam which may give you a clue to what you might expect here. If you like your hot pools of the entirely natural variety then simply land your kayak and dig a hole to make your very own hot spring. Another of the lakes which can only be accessed by kayak as part of a tour. Itineraries include silent paddling through small caves, exploration of a wildlife reserve and a guaranteed jaw-droppingly beautiful backdrop throughout. 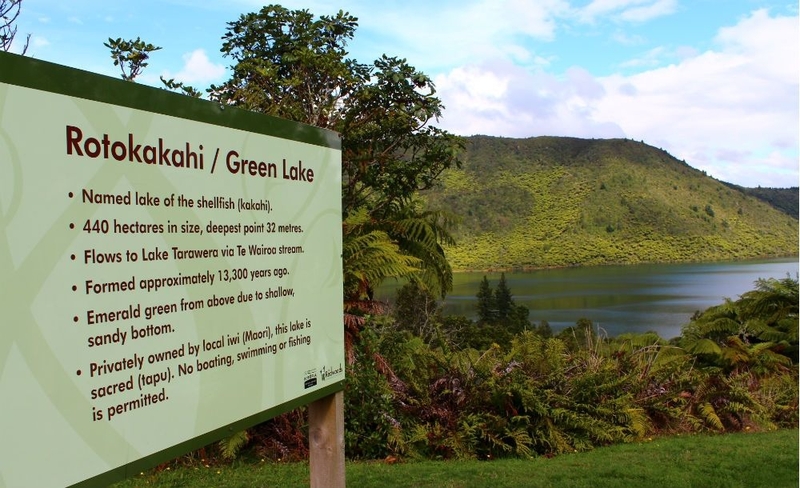 This lake's name means 'little lake' in Maori but as the third largest of Rotorua's regional lakes and measuring 34 km² it is in truth not so small. 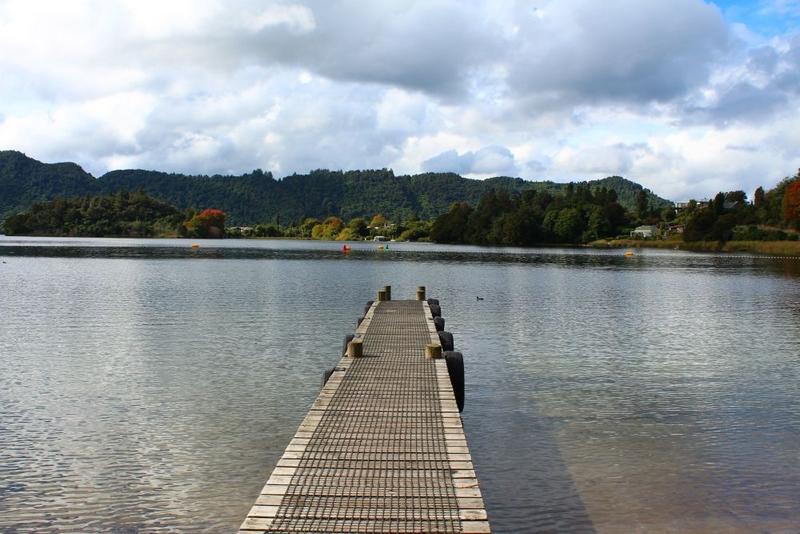 It is perhaps the most accessible of all the smaller lakes as it is joined to Lake Rotorua by way of a highly scenic waterway known as the Ohau Channel. This lake, known for its abundance of bird life, has a great number of little bays and beaches, many of which can only be accessed by boat so getting them all to yourselves is a distinct possibility. Besides the natural beauty of a lake surrounded by tumbling native bush, a forest covered mountain and north shore cliffs, Lake Rotoiti has two main draws – hot pools and a glow worm cave. The Manupirua hot pools, which have no land approached access, sit right on the edge of the lake offering pools ranging from tepid to toasty where you can lay back and listen to a backing track of native birdsong. The true jewel in Rotoiti's crown is its paddle-in/swim-in cave with its entrance romantically hidden behind draped foliage and framed with the vibrant reds of the iconic pohutukawa trees. Once inside the roof of the cave twinkles with what appears to be stars but are in fact glow worms. 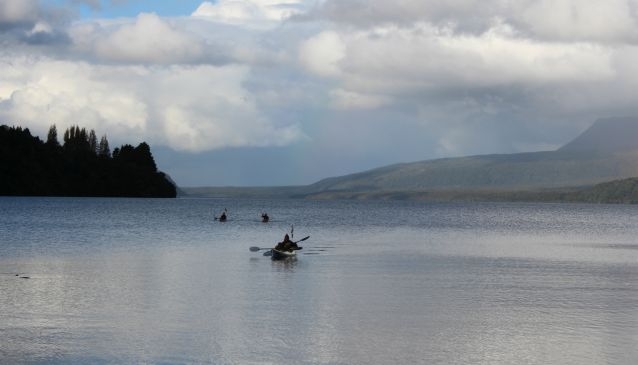 In case you're wondering why we haven't included Lake Rotorua itself it is because most of the kayak tour companies tend to steer clear of this busier lake, opting instead to take their guests on waters-less-paddled. Several of the companies do indeed start from here and then lead groups down the Ohau Channel to Lake Rotoiti. If you're happy to go it alone kayaks can be hired for exploring Lake Rotorua. 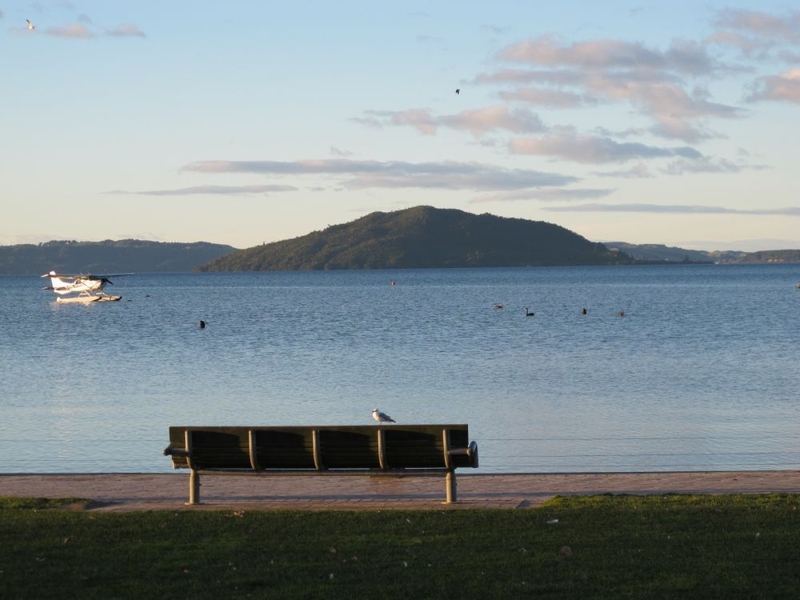 For more information on the lakes of Rotorua, check out out Rotorua Lakes Guide.